Sharp-eyed reader, Richard Wheeler, recently commented that the “formal” portrait of Mary Jane Sirmans and John Boyett (see John Boyett (1865-1938) ~ Ray City Farmer) is actually a retouched version of a more casual photograph of the couple (see The Calhoun Farm), presented here, side-by-side. 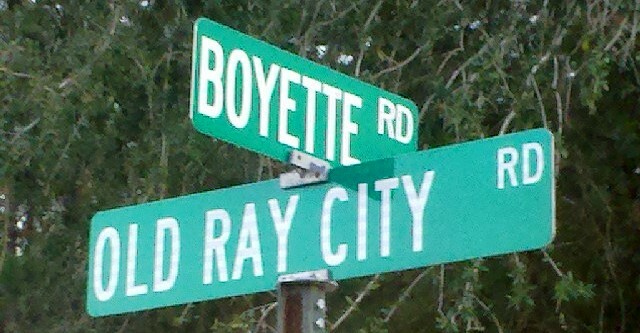 The Boyett’s home place was situated southeast of Ray City, GA on the shore of Banks Lake. 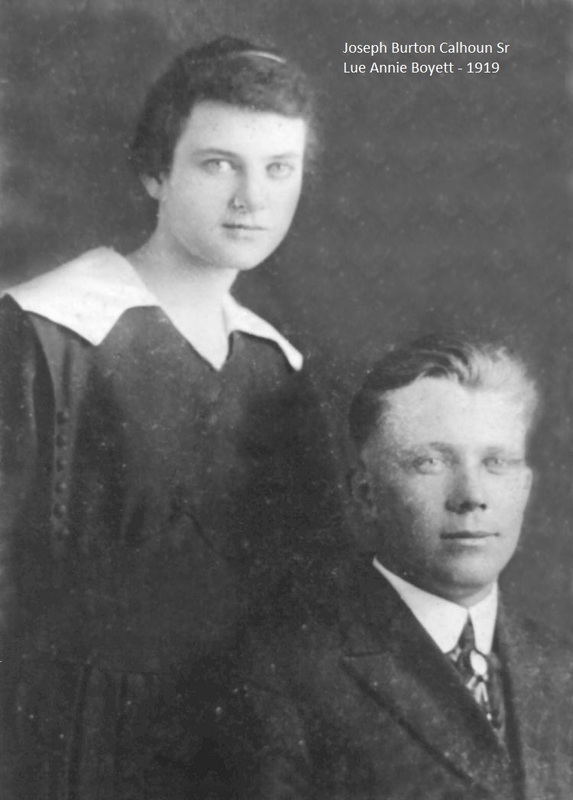 Retouched family portrait of John Boyette and Mary Jane Sirmans Boyett. Image courtesy of I. Mitchell Calhoun. 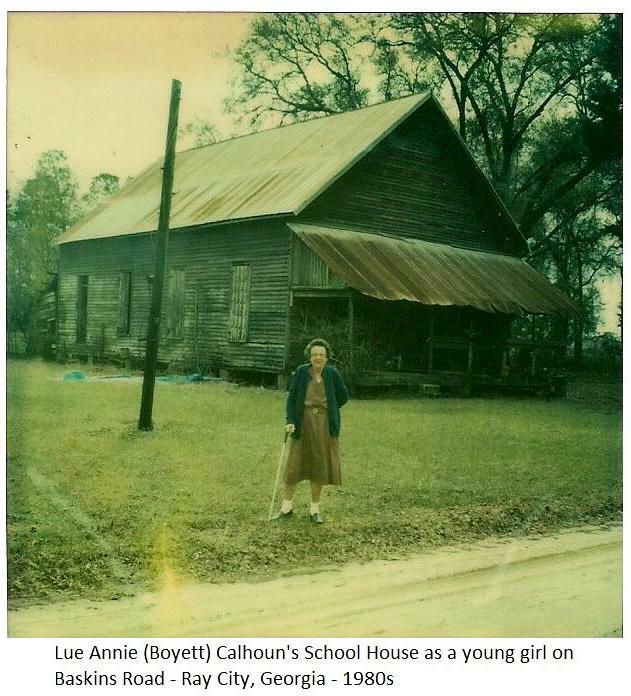 As a young girl, Lueannie Boyett Calhoun, daughter of John Boyette (1865-1938) and Mary Jane Sirmans Boyett (1867-1946), attended the common schools of the area. Grand Bay School was in the Crum-Boyett-Giddens-Baskin community, west of Milltown. (The building is still in use as a pack house on the W.B. Boyett farm.) 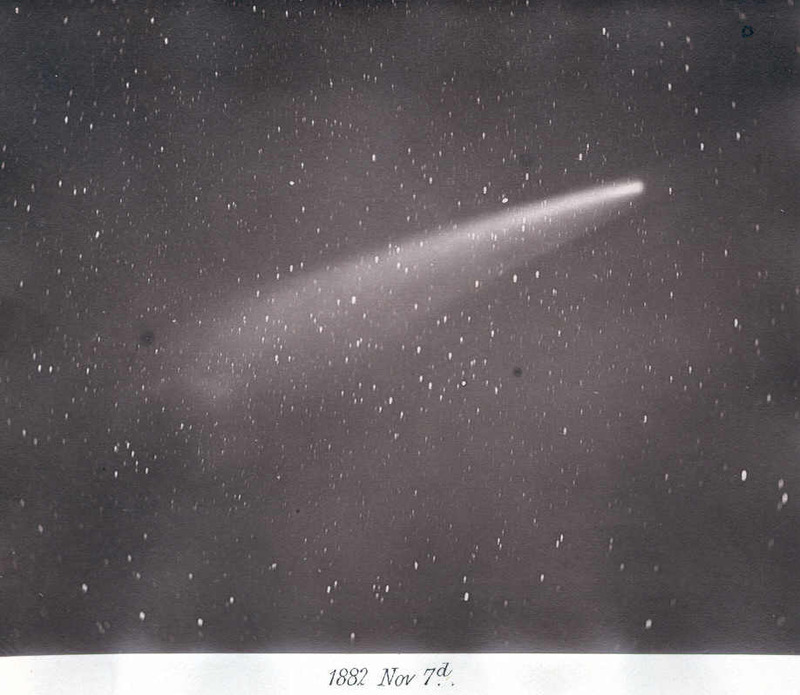 Bob Patten had taught there before the turn of the century. Among the pupils there were Mary Crum and Larue Giddens. Lueannie Boyett Calhoun photographed circa 1980 in front of the school she attended as a young girl. 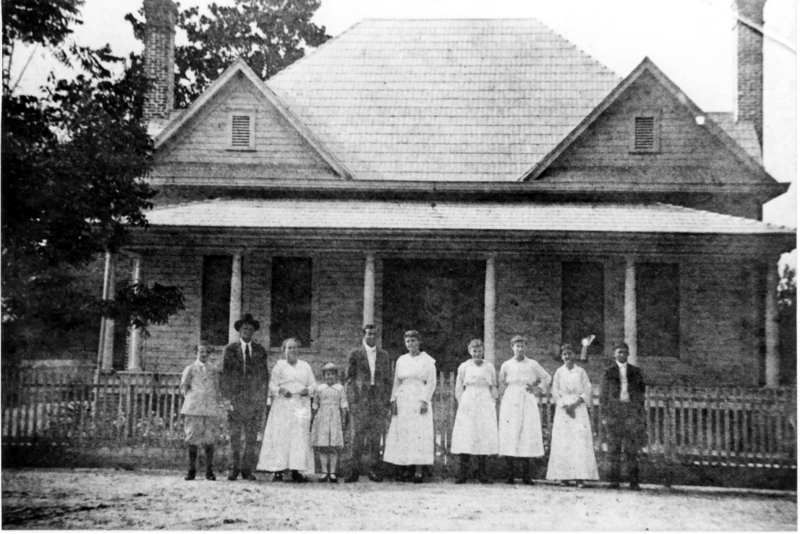 The School was situated on Baskins Road, near Ray City, GA in present day Lanier County. Image courtesy of Mitchell Calhoun. On New Year’s Day, 1943 the Clinch County News announced the marriage of Ruth Boyette and Sergeant Dillard Maurice Markham. She was from Ray City, GA, a daughter of Hattie Mae Dean and Grover Gordon Boyette. She was born September 7, 1920 near Ray City, in that part of Berrien County, GA that two months later would be cut into the newly created Lanier County. 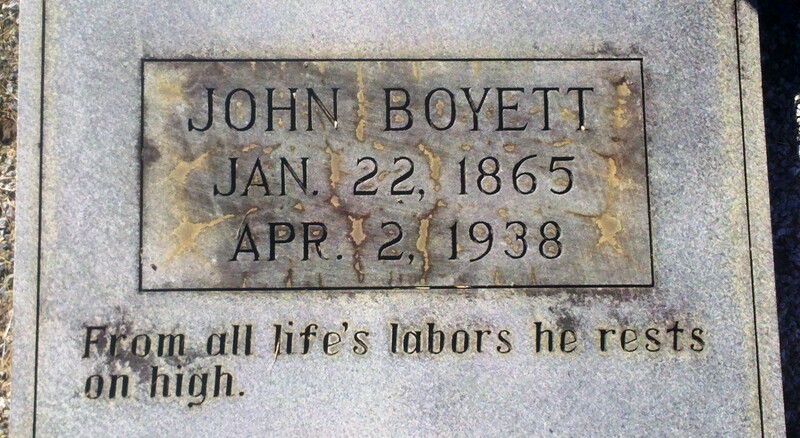 Her grandfather, John Boyette, was among those who fought the creation of the new county (Ray City Citizens Fought Creation of Lanier County). Sergeant Markham was a WWII soldier stationed at Moody Air Field near Ray City. Ruth Boyette and Dillard Markham marriage announcement, 1943. 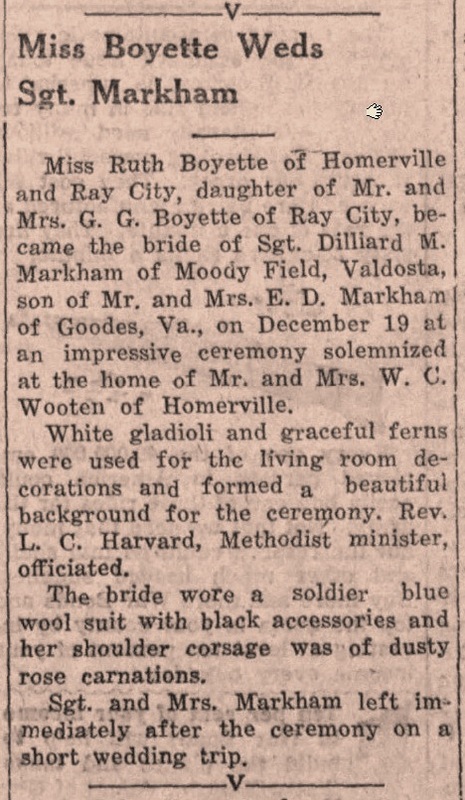 Miss Ruth Boyette of Homerville and Ray City, daughter of Mr. and Mrs. G. G. Boyette of Ray City, became the bride of Sgt. Dilliard M. Markham of Moody Field, Valdosta, son of Mr. and Mrs. E. D. Markham of Goodes, Va., on December 19 at an impressive ceremony solemnized at the home of Mr. and Mrs. W. C. Wooten of Homerville. White gladioli and graceful ferns were used for the living room decorations and formed a beautiful background for the ceremony. Rev. 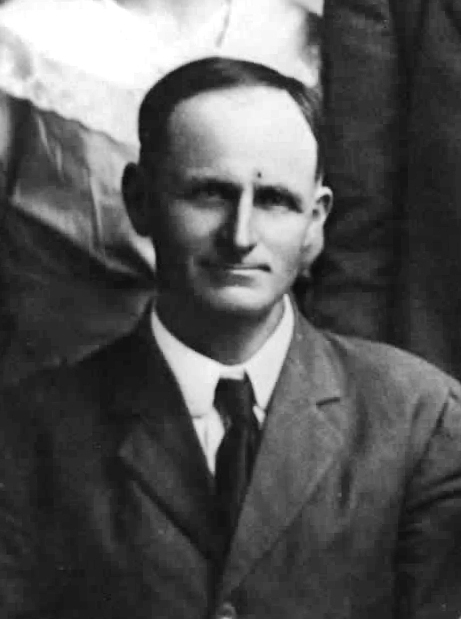 L. C. Harvard, Methodist minister, officiated. 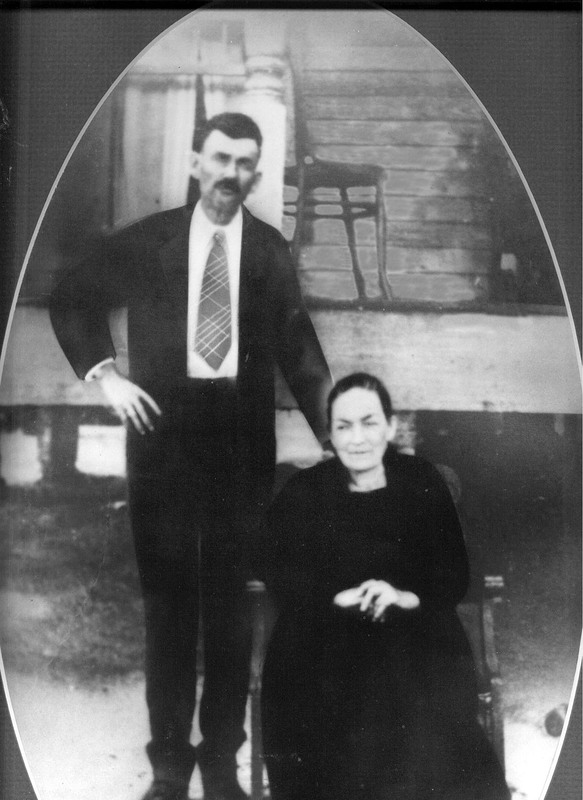 The Markhams made their home in Lynchburg, VA where they operated a successful produce business. Ruth Boyette Markham died November 2, 2008. Dillard Markham died March 18, 2010. Ruth Boyette Markham, of Lynchburg, died Sunday, Nov. 2, 2008. 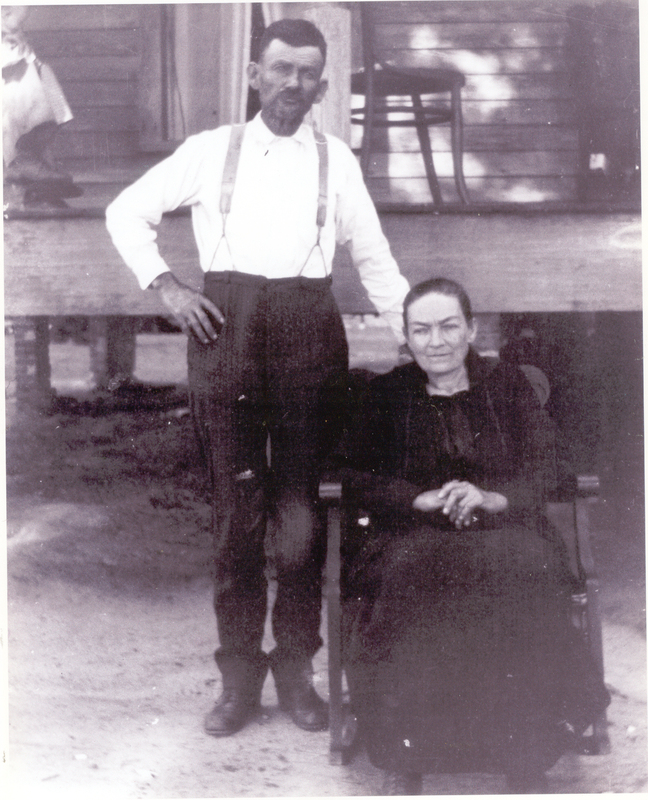 She was the loving wife of Dillard Maurice Markham for 66 years. Mrs. Markham was born in Lanier County, Ga., on Sept. 7, 1920, to the late Grover Gordon Boyette and the late Hattie Mae Dean Boyette. Ruth was devoted to raising her family and helping in the family business, Markham Produce. 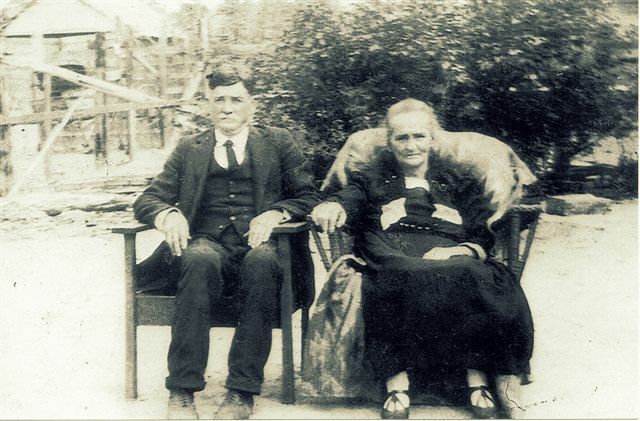 In addition to her husband, she is survived by her son, Dillard A. Markham of Columbia, S.C.; her daughter, Sally M. Tinsley of Lynchburg; one brother, Hansel Lincoln Boyette and his wife, Connie, of Lakeland, Ga.; and two grandchildren, Robert E. Tinsley III and Whitney S. Tinsley, both of Lynchburg. 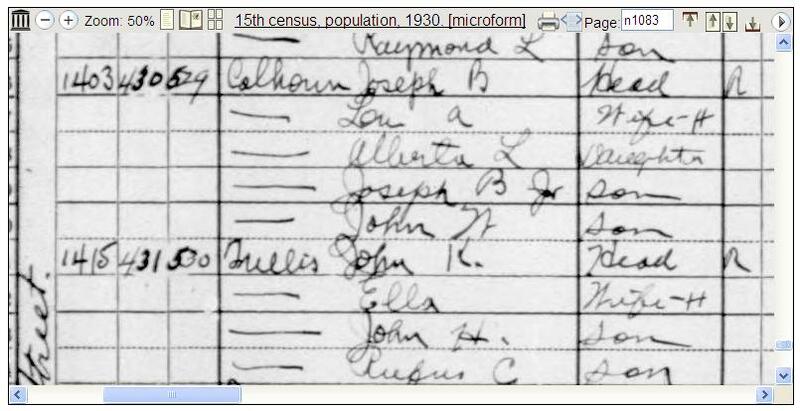 In addition to her parents, she was preceded in death by one sister, Mary Boyette Mercier. The family will receive friends from 6 to 8 p.m. Wednesday, Nov. 5, 2008, at Tharp Funeral Home, Lynchburg. A funeral service will be held at 11 a.m. Thursday, Nov. 6, 2008, in the chapel of Tharp Funeral Home. Interment will follow in Virginia Memorial Park. Memorial contributions may be made to Hospice of the Hills, 3300 Rivermont Ave., Lynchburg, VA 24503. 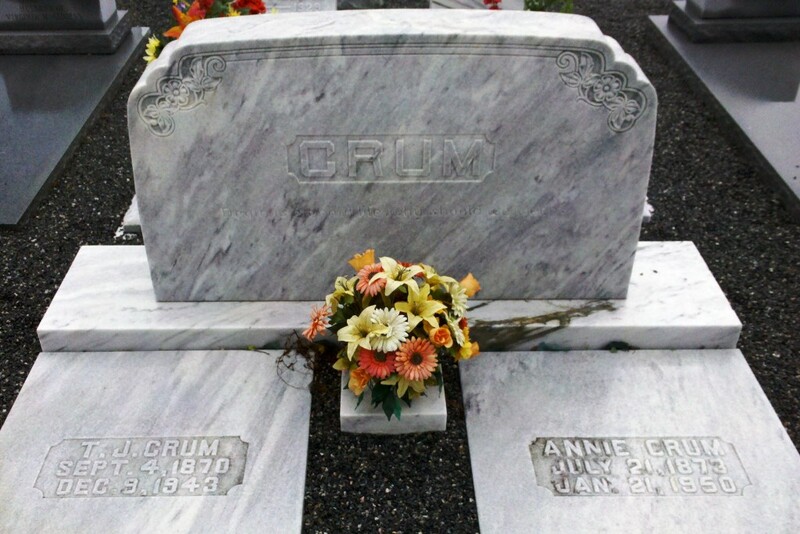 Tharp Funeral Home and Crematory, Lynchburg, is assisting the family, (434) 237-9424. Condolences may be sent to the family by visiting www.tharpfuneralhome.com. Dillard Maurice Markham passed away Thursday, March 18 at his residence. 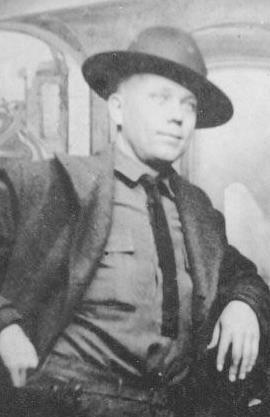 Born April 2, 1920, in Bedford County, a son of the late Elmor Dove Markham and the late Gracie Markham. 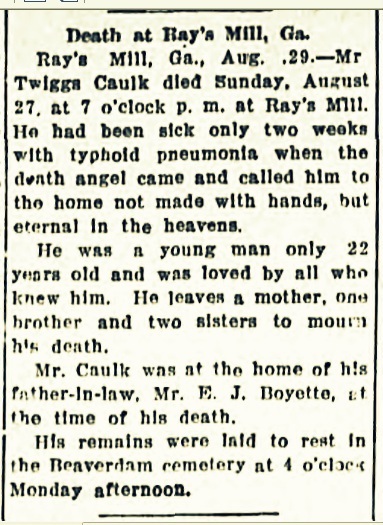 In addition to his parents he was preceded in death by his wife, Ruth Boyette Markham, his daughter Sally Markham Tinsley, four brothers and three sisters. In 1949 Mr. Markham opened Markham Wholesale Produce. After 50 years of serving the community he became known as Grand Daddy Markham to all the stores, restaurants, friends in Virginia and all the South Eastern states. He proudly served his country during WWII as a member of the US Air Force. He was loved by all. Dillard is survived by a son, Dillard A. Markham, Columbia, SC, two grandchildren: Whitney S. Tinsley and Robert E. Tinsley, III, of Lynchburg, a brother, Stuart Markham of Lynchburg, a sister, Dorothy Markham Garrett, and numerous nieces and nephews. The family will receive friends today from 3:00-5:00 p.m. at Tharp Funeral Home, Lynchburg. A funeral service will be held Monday, March 22, 2010 at 11:00 a.m. at Keystone Baptist Church with Dr. Monty Fox officiating. Burial will follow in Virginia Memorial Park with military honors provided by American Legion Post 16. Memorial contributions may be made to Hospice of the Hills, 3300 Rivermont Ave. Lynchburg, VA 24503. The family would like to thank Marva Henderson, who was Dillard’s friend and care giver for four years. Tharp Funeral Home & Crematory, Lynchburg, is assisting the family, 434-237-9424.